We fire up the ovens 7 days a week and bake our products "from scratch", the old fashioned way. Our three bakers have over 90 years combined baking experience, enabling us to provide excellent quality with remarkable consistency. Always fresh, always delicious - at Claytons, we're famous for our unique breads, buns, pastries and cakes. 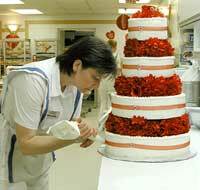 Our professional decorators can create a cake for your next special occasion, custom designed in your favourite colors. If you'd like an edible photograph reproduced on top of the cake, please call and ask about this service. (604) 885-9823. Planning a wedding or a special occasion? 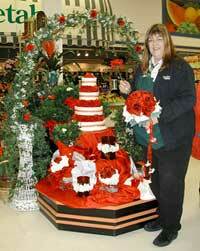 Let our bakery and floral departments help make that memorable day something special!